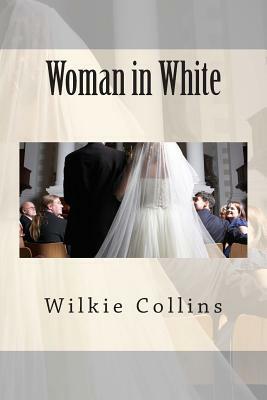 The Woman in White (1860) By Wilkie Collins In one of the first detective thrillers written in English, this sensational mystery revolves around lovers Walter and Laura. Unfortunately, Laura has promised her father that she would marry Sir Percival Glyde. As a result, Walter resolves to forget his love. Laura and Glyde marry and travel to Italy for six months while Walter joins an expedition to Honduras. But Laura soon discovers that Glyde is in financial difficulty and he bullies her into signing a document that allows him to use her marriage settlement of 20,000. What she doesn't know, is that he has also arranged to switch the identity of Laura with a terminally-ill woman in an attempt to obtain even more money. About the Author English novelist William Wilkie Collins (1824 - 1889) was a playwright and short story writer best-known for The Woman in White (1859), No Name (1862), Armadale (1866) and The Moonstone (1868). He was born into the London family of painter William Collins and lived in Italy and France as a child learning French and Italian. After his first novel, Antonina, was published in 1850 he met Charles Dickens, who became a close friend, collaborator and mentor. Some of his work was first published in All the Year Round and Household Words, run by Dickens, and the two collaborated on drama and fiction.